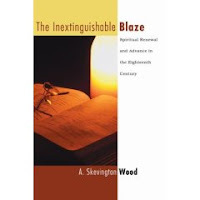 Over Christmas I read A. Skevington Wood's 1960 book on the Great Awakening, The Inextinguishable Blaze: Spiritual Renewal and Advance in the 18th Century. 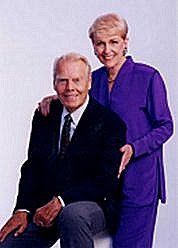 Dr. Wood was a British pastor with a PhD from Edinburgh. It is a marvelous and encouraging work. I love this period of history, and Wood does it full justice. I do think at times he overlooks flaws. Two examples are: 1) despite reviewing the remarkable evangelistic career of the Welshman Howell Harris, Wood ignores Harris' late-life eccentricities; and 2) though giving significant space to Edwards' Narrative of Surprising Conversions detailing the 1734-35 local Northampton revival (preceding the trans-Atlantic Great Awakening 6 years later), Wood again ignores the fact that Edwards later reflected on his account and saw that he was a bit overly optimistic about the truly spiritual results of the revival, recognizing that many had fallen away who at that time professed vital spiritual experience. Now that that's off my chest, I loved the book. Here are 3 of my favorite chunks. During the Great Awakening there was, of course, lots of revival among the dissenting church, as Whitefield, Wesley and other took to the open fields. But there was also revival in the official church. One such pastor was the slightly eccentric John Berridge, whom Wood claims paved the way for Charles Simeon. One happy anecdote from Berridge's life is told by Wood as follows. Excellent thought from the Jonathan Edwards blog on Edwards' understanding of what motivates ministers in their pastoral call, especially in distinction from the Puritan William Perkins. Just right on. I have been coming back for several weeks to the words of the old hymn, which express better than anything I could say what I most deeply feel when looking back over 2007. There have been many joys this year, but this is the joy beneath all joys. There have been many low times, but this is the source of all stable buoyancy this year. There has been lots of unmortified sin, and this is my only hope as I reflect on the pervasiveness and ugliness of my remaining rebellion. No posting for the next week or so as my family and I are in Connecticut for the holidays. Grateful for this good reminder from Jon Bloom, a caution to interpret neither prosperity as God's pleasure nor hardship as his displeasure. Velvet Elvis = Velvet Theology? Today I read Rob Bell's book Velvet Elvis: Repainting the Christian Faith. Rob is pastor of Mars Hill, a church in Grand Rapids (not to be confused with Mars Hill in Seattle, pastored by Mark Driscoll). I appreciate the book in many respects. His thoughts on living like Christ in a way that is forgiving and loving instead of harsh and judgmental; his realism about suffering; his reflections on the importance of joy in Christianity; and his emphasis on the mystery of God and the way we can never exhaust him or figure him out and bottle him up like a math problem; these are all true and worthy of reflection. But this book is exactly why I started this blog in the first place, and it's a perfect example of why I've called it "Strawberry-Rhubarb Theology." Time and again the book trades in our doctrinal birthright as Christians for a mess of theology-taming pottage. Bell talks about joy and about enjoying God. Yes! What a central and needed message for our age; maybe for every age. But the way he does it is by softening and fuzzying the clear contours of divinely revealed truth mercifully given in Scripture. His end is right; his means is wrong. I'll cite two examples. In his zeal for people to know just how counterintuitive and surprising and deep and wonderful and freeing God's grace and love are--and they are!--Bell writes that "when Jesus died on the cross, he died for everybody. Everybody. Everywhere. . . . This reality then isn't something we make true about ourselves by doing something. It is already true. Our choice is to live in this new reality or cling to a reality of our own making" (145-46). We're still scratching our heads with this, wondering if he really means it, when he follows it up with: "Heaven is full of forgiven people. Hell is full of forgiven people. Heaven is full of people God loves, whom Jesus died for. Hell is full of forgiven people God loves, whom Jesus died for" (146). I think I understand how Bell can say these kinds of things, unambiguously conflicting with biblical witness, from the second example. Bell is talking about the Christian life being more like a trampoline, which you jump on and call others to join you in enjoying, than it is a wall of bricks, with each doctrine being a brick. His point is that we ought not to worry about a single brick falling out and causing the whole wall to crumble, which is the mode in which he sees some conservative Christian operating (18-28). Point taken. I want to call others to Christianity by enjoying it, not by battering doctrines over people's heads. Personally, I need to grow in this area. But my response is: won't the height and enjoyment of our jumping be determined by the well-being and sturdiness of the foundational structure of the trampoline? My conclusion is simply this. Doctrine exists for delight. Just as you don't bake a strawberry-rhubarb pie to stick it on a petry dish to analyze it, so God is meant to be enjoyed, not analyzed. But we still need to have the right recipe. The trampoline structure still needs to be secure. We won't enjoy the pie without the right recipe. Hence the importance of doctrine. It is the Holy Spirit who ignites joy, but he does it with the kindling of Scripture. I don't want to be a theology-cop. Let's agree to spend our main energies affirming the good in people, not looking for the weaknesses, remembering how blind we ourselves are to our own errors and weaknesses. I have not a shred of doubt that Rob Bell has done TONS of good in this world. Praise God for him. May the Lord bless his efforts. But if you want your people to enjoy Jesus, Pastor Bell, you're softening the very means God has given for them to do it. Theology exists for doxology. Doctrine exists for delight. We neither skip the head to get to the heart, nor focus on the head without letting doctrine pour into the heart. Rather we embrace and cultivate and defend doctrine, for the sake of the heart. Strawberry-rhubarb theology. Though I am born and bred on the Westminster Confession, a document I love, my favorite confession is that of Heidelberg, for reasons including Questions 27 and 28, on God's providence. Q 27. What do you understand by the providence of God? A. Providence is the almighty and ever present power of God by which he upholds, as with his hand, heaven and earth and all creatures, and so rules them that leaf and blade, rain and drought, fruitful and lean years, food and drink, health and sickness, prosperity and poverty--all things, in fact, come to us not by chance but from his fatherly hand. Q 28. How does the knowledge of God's creation and providence help us? One is sometimes (not often) glad not to be a great theologian; one might so easily mistake it for being a good Christian. Jesus remained silent before Pilate so that ever after he might speak for us. "I am a Calvinistic, charismatic, complementarian, Christian hedonist," writes Sam Storms. He explains. A great reflection on spiritual storms by Jon Bloom. In recent days Scot McKnight posted a letter from a young pastor having a problem with vocal, arrogant "hyper-Calvinists" (I'm unsure if that means theologically or generically) which generated a huge response (with McKnight's response here). Responses of widely differing viewpoints regarding Scot's post can be read here, here, and here. I'm not going to dive into this discussion. Instead, one brief comment. It is this. An arrogant or condescending Calvinist is like me trashtalking my two brothers after beating them in a game of 2-on-2 basketball when they both had to play blindfolded while hopping on one foot and my teammate was Lebron James (and he picked me to be on his team) and I didn't score any of the baskets--in fact, the only time I ever touched the ball I dribbled it out of bounds off my foot. Lebron would have been better off without me. Sure, I may have won. But I had absolutely, positively, and in all other ways nothing to do with it. My boasting in the victory ought to have melted into gratitude to Lebron, and humility at my failure to contribute. A proud Calvinist is an oxymoron because Calvinism sees more clearly than any other theology that it is sheer and utter grace from first to last that puts anyone right with God. I am a 5-point Calvinist (though I prefer this label), and I don't apologize for my theology. But I am sad about those, including myself at times, who have so manifestly failed to allow this true and right and beautiful doctrine to percolate down into the very fiber of their being, as it should, so that love and wonder and gratitude and downright puzzlement at being saved seep out. When Calvinists get cut, they ought to bleed love. If you are not a Calvinist, I do not look down on you and I would fellowship with you as a brother or sister with the same ease as I would with those who are closer theologically to me. If you are not a Calvinist and you have experienced the kind of treatment McKnight's letter describes, I am sorry. I have acted that way in the past and I have repented, and I ask you to forgive me for propagating that kind of strange hypocrisy. What a folly. And finally, if you are not a Calvinist I believe with all my heart that if you embrace this theology (call it what you want; it didn't start with Calvin, or even with Paul, but with Genesis 1:1), it will make fullest sense of the world and it will maximize your joy in God. The second Paul book I recently read was The Way of Salvation: The Role of Christian Obedience in Justification by Paul A. Rainbow (Carlisle: Paternoster, 2005). An interesting read indeed! I offer the following reflections. Have the Reformers set five centuries of Protestantism awry with their banner cry of sola fide? Can the nagging problem of antinomianism that has plagued the church in the wake of the Reformation be traced directly to the Reformers’ biblically partial insistence on sola fide? According to Paul Rainbow, Professor of New Testament at Sioux Falls Seminary (formerly North American Baptist Seminary), the answer to both questions is yes. In this provocative book that is sure to ruffle both Reformed and New Perspective feathers, he makes his case. In Rainbow’s understanding of historical theology, Augustine, and not Calvin and Luther, provides the right balance between faith and good works and how each pertains to the two phases of justification. Rainbow draws preponderantly on Paul with occasional reference to James, proposing that in his soteriological framework the troubling dissonance Protestant exegesis has felt between these two canonical writers disappears. In the opening pages Rainbow crystallizes the argument of his book: “My thesis in a nutshell is that, though the Reformers had Paul on their side in decrying merit before conversion and rightly emphasized that God freely imputes Christ’s righteousness to a believing sinner apart from prior moral efforts, nevertheless they were wrong to exclude ‘evangelical obedience’ (as the Puritans called deeds produced by divine grace in the lives of the redeemed) from having a secondary role in the way of salvation which we tread thereafter” (xvi). The question of the Reformers’ alleged neglect of “evangelical obedience” aside, there is little here with which any will disagree. The issue, however, is the way in which Rainbow fills out what precisely that “secondary role in the way of salvation” is. For most Reformation and post-Reformation thought, the role of “evangelical obedience” is validation and necessary outworking of a justification based utterly on Christ’s work and appropriated solely through faith—“necessary” due to the inextricably wed legal and transformative effects of union with Christ. Yet for Rainbow, obedience forms part of the ground of justification—it is not mere manifestation of approval with God but constitutive of that approval. Rainbow argues that while it is true enough that in Paul’s theology the righteousness of Christ is imputed to believers when they first trust Christ, final justification will be grounded on both faith and (post-conversion) obedience. Works, them, are certainly excluded from initial justification. Yet there is a reason Paul excludes works beyond the assertion that when he does so he has only initial justification in view. Rainbow posits a clear demarcation between two ways in which Paul speaks of works (chapter five). There are “works of law,” which refer to “works that Adam’s progeny do in their striving under the demands of the law” (79). This brand of works possesses not a whiff of Jewish boundary markers (strangely, J. D. G. Dunn is not cited anywhere in a chapter that is squarely opposed to Dunn’s extensively argumentation for the predominantly nationalistic understanding of Pauline works of the law). More numerous, secondly, are “works of grace,” which are “works done by Christians living out the practical implications of being regenerate under the new covenant” (80). While Paul wholly excludes works of law from playing any role in either phase of justification, works of grace provide a key criterion for final justification. The book includes twenty brief chapters which fall into three sections. Chapters 1-2 set out the issues and lay the foundation for what is to come. The bulk of the book, chapters 3-16, make the argument. Important components of this section include the old and new covenants, antinomianism, regeneration, numerous chapters on justification, and comparisons of Paul and James. Chapter 17-20 synthesize and draw conclusions, including reflections on how the thesis of the book addresses the topics of the ordo salutis and assurance. The Way of Salvation possesses unique strengths. First, one appreciates the seriousness with which Rainbow takes the Bible. In a day when historic orthodoxy frequently becomes the engine driving exegesis (I have at times seen this firsthand in confessional Presbyterianism, and I expect a similar thing happens in other groups where confessions are, quite rightly, appreciated) rather than being driven by exegesis, the author’s unmitigated submission to Scripture is refreshing, and a good reminder to us all. Second, Rainbow is clearly conversant with historical theology and avoids the frequent caricatures of the Reformers (especially Luther) that fills the pages of so many recent treatments of Paul. Rainbow desires that the interpreters of centuries past be understood on their own terms and not written off or used only as fodder for critique. Third, this book feels no compunction to fall neatly into any particular current Pauline camp. I appreciate his willingness to let the text lead where it will even where that seems to be ground on which no other scholar has trod. Fourth, Rainbow writes in clear English that is neither verbose nor unnecessarily confusing. His argument itself is not simple; but the language he uses to explain is, for which simple-minded learners like me can be grateful. His generally short chapters (some just seven or eight pages) helps in seeing his progressing argument. Fifth, Rainbow draws upon a vast corpus of Pauline interpreters, both past and present. Some weaknesses to the book ought to be mentioned, too. First, Rainbow’s appeal to the mysterious doctrine of the Trinity in legitimating his admittedly complex soteriological system in which one is justified by faith alone initially but not by faith alone finally is not quite a fair comparison. The doctrine of the Trinity is an attempt to comprehend the deity, as is the other great biblical mystery, the hypostatic union. Should we expect God’s provision of salvation for his creatures to possess a comparable degree of mystery? Some, then, will persist in seeing his view as inherently contradictory (in what sense can imputation be meaningful if it must be finally completed by believer’s good deeds?). Second, one finds a conspicuous lack of reference to the Holy Spirit. Though the Spirit is brought in at a few points (133-34, 144-47, 194), this is not the heading for any of the twenty chapters nor even for any of the subsections within chapters. Rainbow’s emphasis on the deeds of believers forming part of the ground of eschatological justification would seem to call for a more thorough integration of the pneumatological element of salvation—which is precisely what one finds in other writers who see Christian activity as integral to final justification (N. T. Wright, e.g.). Yet the Spirit is not even mentioned in the opening 70 pages of the book. Third, one wishes for a more nuanced appropriation of the different prepositions used by Paul. Though not an airtight rule, the Apostle generally speaks of justification as being through (dia.) faith, on the basis of or grounded in (evpi.) Christ’s work, and according to (kata.) deeds. Rainbow repeatedly blurs these distinctions, saying explicitly at several points that justification is based on or grounded in deeds (83, 184, 187, 194, 197, 201, 203, 210, 227). Fourth, ought we not to make a distinction between eschatological justification and eschatological judgment? It seems that Rainbow has at times confused the two, importing the Pauline truth that judgment will be according to works into his view of final justification. I would say that final justification will be one of the potential verdicts at the final judgment. The two are not equivalent. Fifth, one wishes for a more thorough integration of the place of union with Christ into the book. This reviewer maintains the sneaking suspicion that had this critical Pauline doctrine been more comprehensively incorporated, Rainbow would come less quickly to the conclusion that the Reformers’ understanding of justification leads unavoidably to antinomianism. I suggest that union with Christ is the doctrine which illumines how antinomianism is a diseased form of Paul’s teaching rather than its inevitable result. Sixth, at times Rainbow is simply sloppy in his scholarship. For example, he cites the view of Caron, Moo and Morris on the relationship of James and Paul: “It is to this garbled form of Paul’s teaching that James responds because he is writing before he had opportunity to learn from Paul himself just what Paul means by the doctrine” (Introduction to the New Testament, 413). Rainbow comments, “I do not perceive that James garbled Paul’s doctrine, as should become clear from the exposition below” (214 n3). Now this is not at all what Carson, Moo and Morris have stated—they say James is responding to a garbled form of Paulinism, not that James himself garbled it. Less than careful wording infects more substantive issues, too. Is it accurate, for example, to baldly assert that “the Reformation’s rigid exclusion of Christian good works from saving faith is invalid” (xxi)? As I read Calvin, I understand him to be saying on the one hand that moral activity in no way contributes to the basis for justification (whether initial or final, if such a distinction can be upheld to the degree Rainbow asserts), yet on the other hand that fruit-filled lives of obedience can be excluded from saving faith no more than the heat of the sun can be excluded from its light. We could sum up this book by pointing out that many readers will remain unconvinced by Rainbow’s work due to two overarching questions. First, has he read the Reformers faithfully? Despite the many explicit quotations lifted from Luther and Calvin, it is far from clear whether Rainbow has enfolded a representative sample of their thought. Second, even if Rainbow has indeed accurately portrayed the thought of the Reformers, the question remains whether the Reformers or Rainbow are reading Paul aright. In order to sign on with the proposed thesis, then, both of these hurdles must be cleared. Few will be able to make the leap. 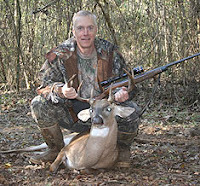 I am grateful for Rainbow’s labors and for the stimulating study he has put together in The Way of Salvation. I do, however, remain unconvinced of his thesis that works form part of the basis of final justification, and, for the sake of their own spiritual well-being as well as the glory of the God who provides all believers need for final exoneration, I hope few in the Church adopt his argument. Today is our first snow here in Wheaton. It's coming down as I type. As far as I'm concerned Narnia's "always winter and never Christmas" is only slightly worse than "always winter and never snowing."